elimination of diseases attacking the immune system. and professional colleagues a way to honor nurses for their exemplary work. Nominations will be accepted through the end of April. I just wanted to make a comment on behalf of the LPN's who work for KSB. 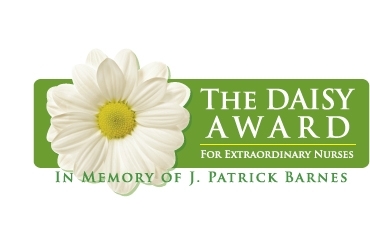 I understand that the Daisy award criteria wasn't something that KSB set up, but when it was placed in the connection, it said to nominate a nurse, and I went to the form to nominate the nurse I work with, who is an LPN, as I am, the first qualification was to be an RN. I wasn't able to come to the luncheon on Friday, and today was reading the connection, which talked alot about nurses, and nowhere were LPN's mentioned. I have been a NURSE for 30+ years, and was offended, as I'm sure other LPN's were, when I read the connection, and found all of the articles were related to RN's, and advanced career nurses. I am not saying that there isn't a need and a place for advanced degree nurses, but it wasn't even mentioned that KSB employs LPN's. I think that there are still LPN's working at the hopital, who have worked there for many years. And there are MANY LPN's working for KSB in the Medical Group. I just want to say that I feel that the LPN's who work for KSB also have a place, and do excellent work, and are very caring and dedicated NURSES'S. You have a wonderful point in outlining the impact LPN's have on our patients and their families. Thank you for including this valuable component of our healthcare delivery system.